Canteen Water Bottle with Cooking Cup. 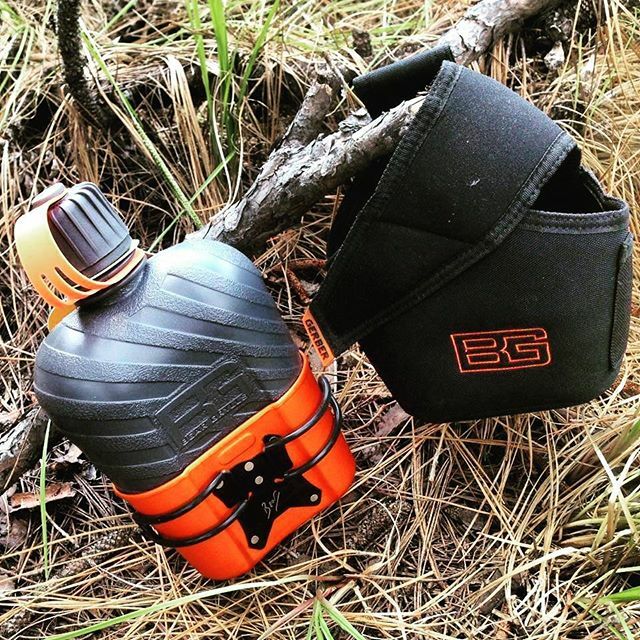 The Bear Grylls Survival Canteen 31-001062 has a BPA free water bottle that is textured to provide a better gripping surface. A food grade aluminum nesting cup is included that can be used for eating, drinking, and preparing meals. 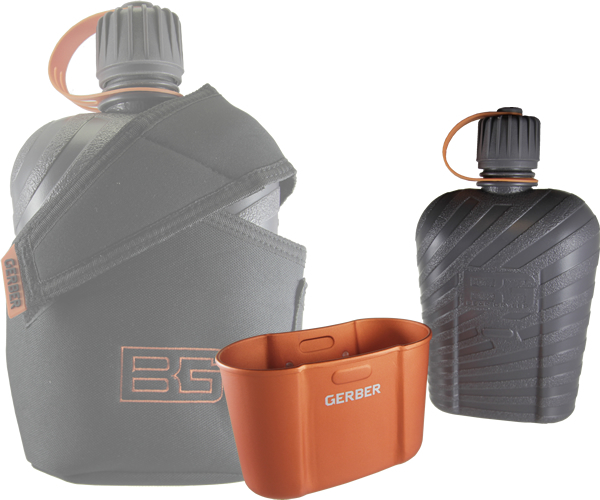 A nylon sheath allows you to carry the Bear Gryllys Survival Canteen on your belt, freeing up space in your pack or gear.